If you’ve been in an accident (car, slip and fall or any other kind of injury) you may be asking yourself what your case is worth monetarily. The answer to this comes down to damages, figuring out what your injuries have cost you physically, mentally and monetarily. Hiring a Philadelphia personal injury attorney who knows Pennsylvania law may be your best defense against receiving the damages you actually deserve. 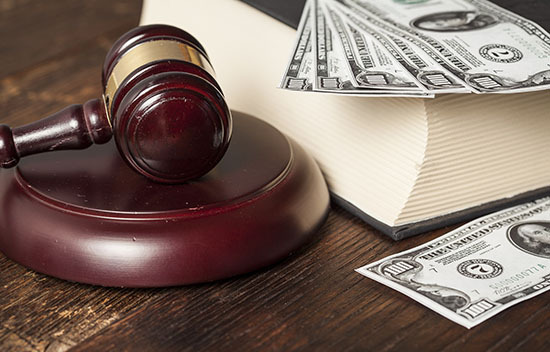 In a personal injury case, money damages are paid to an injured person, the plaintiff, by the person or company who is found to be legally responsible for the accident, the defendant. A damage award can be agreed upon after a settlement has been negotiated between both parties, insurance companies and attorneys. There are different kinds of damages in many personal injury cases and damages awarded can be affected by the plaintiff’s actions, or lack of. Most personal injury damages are classified as compensatory (compensation) which means they are intended to compensate the injured plaintiff for what was lost due to the accident or injury. This means that a dollar amount is determined due to the consequences of the accident. Some compensatory damages can be easy to classify such as reimbursement for property damage and medical bills. However, it is hard to put a monetary value on pain and suffering. In cases where the defendant’s actions were deemed especially careless, a personal injury plaintiff may be awarded punitive (punishment) damages on top of any compensatory damages that were awarded. Punitive damages are awarded to the plaintiff to exceed the compensatory and awarded to punish the defendant. This is meant to hit the defendant hard so that they can understand the repercussions of their actions. Most states have a cap on how much money this exactly entails but if intent is proven, you can expect to receive a large outcome from punitive damages. Determining how much money you will receive after an accident that was not your fault varies by the factors involved. If you were injured, but not severely, you will be compensated based on your medical bills and damages done to your property (if property, such as your car, are involved). If you were hurt and the defendant was extremely negligent, you may receive even more for their absentmindedness. The best chance you have to receive the most damages for your pain and suffering is to hire a personal injury lawyer to help with your case. Hiring a personal injury attorney in Philadelphia is a step in the right direction. After your accident, and after you received medical attention, your next goal should be to hire a lawyer who has personal injury experience and can help you through the next phase of the process. Deciding to go after damages after an accident can seem like a no brainer but having someone on your side who understands the law is your best defense against receiving the compensation you deserve. Contact the law offices of Martins Mill Legal Center for your personal injury case.